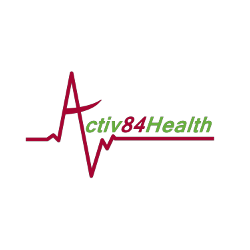 The Activ84Health platform (pronounced: Activate-for-health) opens up a window to the world for the elderly by bringing the joy and health benefits associated with cycling outdoors inside to a safe environment. Each user gets a personalised experience to fit their needs, motivations, and abilities. There is total freedom to explore urban and rural environments. Simply select a street on a map, and then get the visual experience of cycling through that location, all from a stationary bike. At each intersection, the user can choose which direction to go.